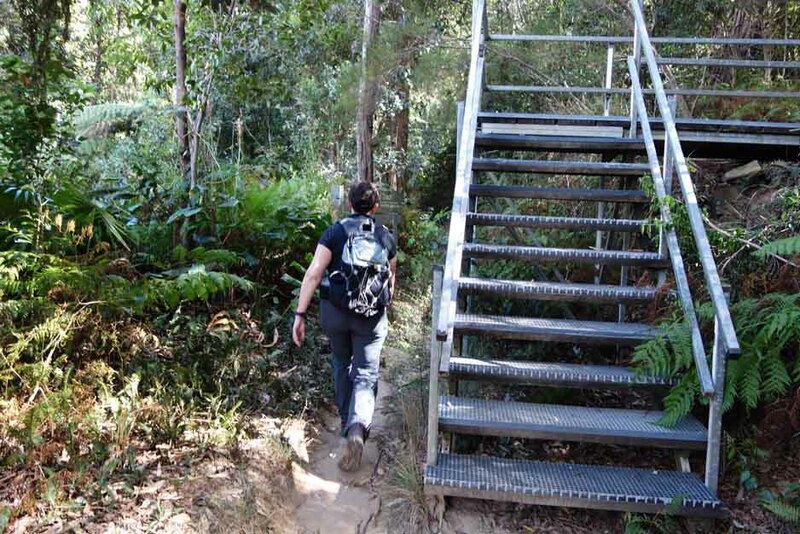 While this is probably not the most spectacular walk in the Wollongong region, if you are travelling through and looking for an easy to find walk then this is up there. 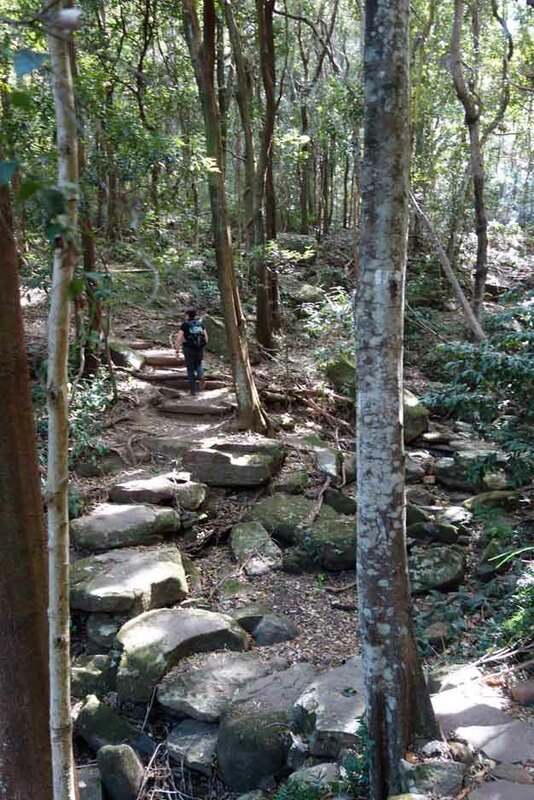 The morning we did this walk we had other commitments including doing an interview so Byarong Park was recommended to us by a knowledgable local – Jenae from Bushwalk the ‘Gong. 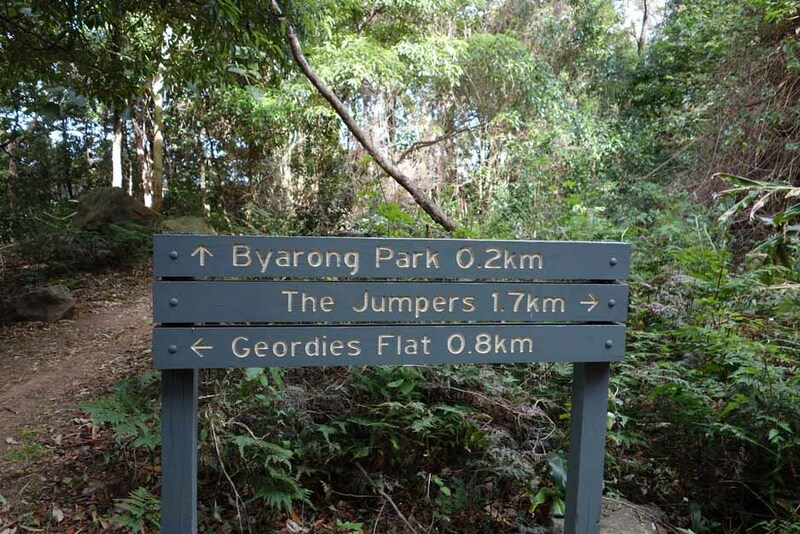 We weren’t familiar with the area but it was easy to find the car park which is the start of this walk. 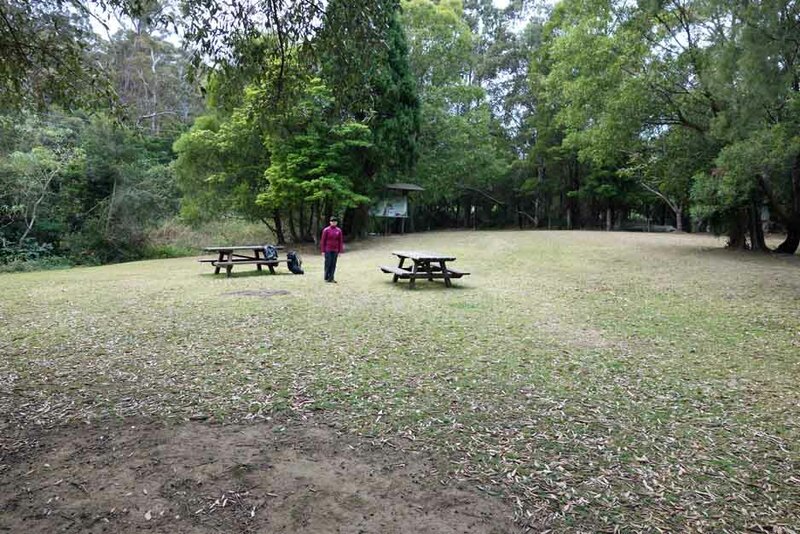 The walk starts behind the park information sign and meanders past the Girl Guides centre on the left and the archery park across the road to the right. 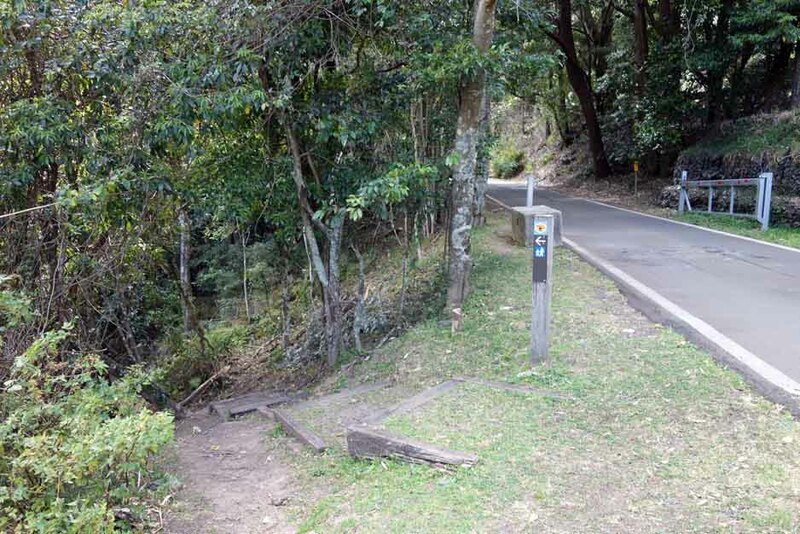 At this point there is a trail sign that directs you up the hill (not the road). 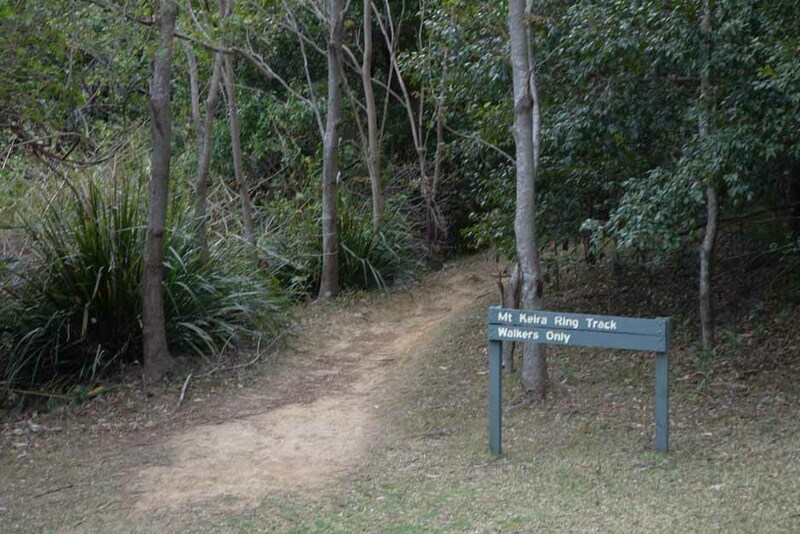 Walk along the track for about 50 metres and then turn left at the ‘T’ intersection which will put you onto the correct path. 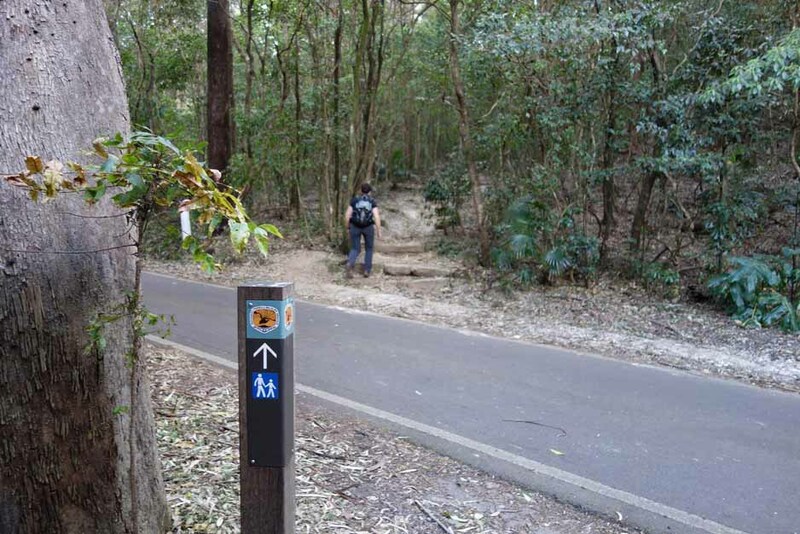 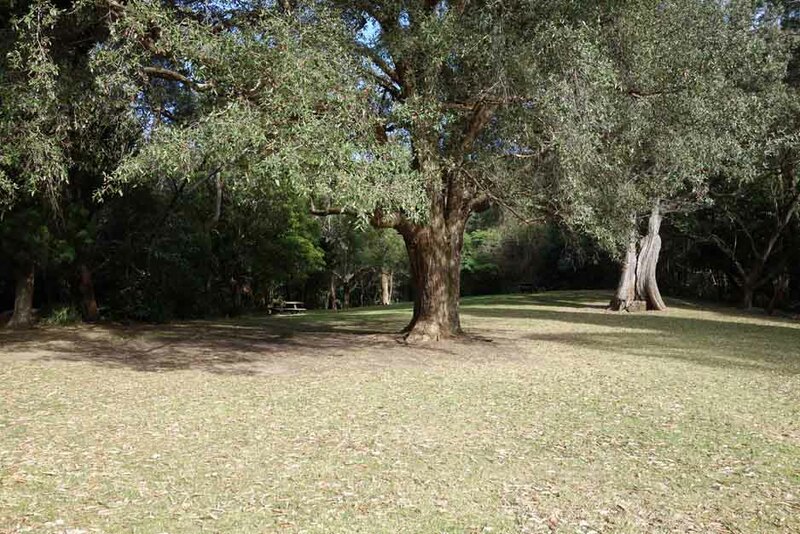 The trail is mostly natural with some constructed sections as you walk through, what is for us, fairly lush bushland. 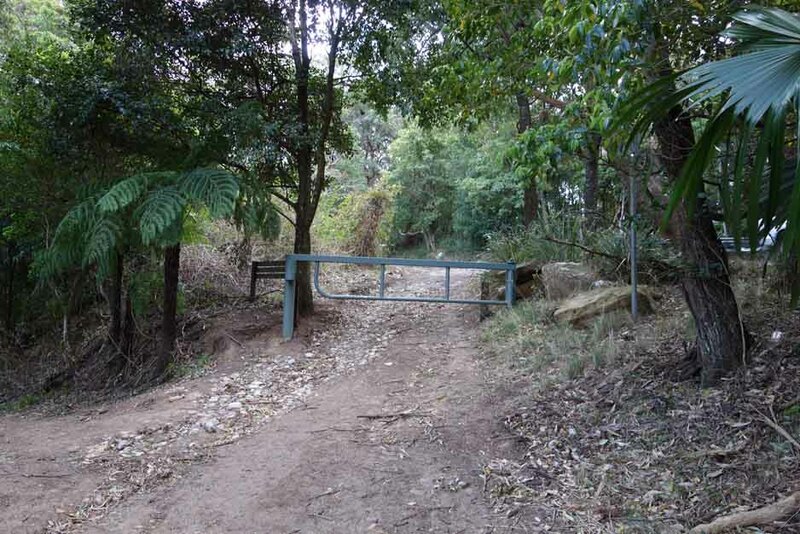 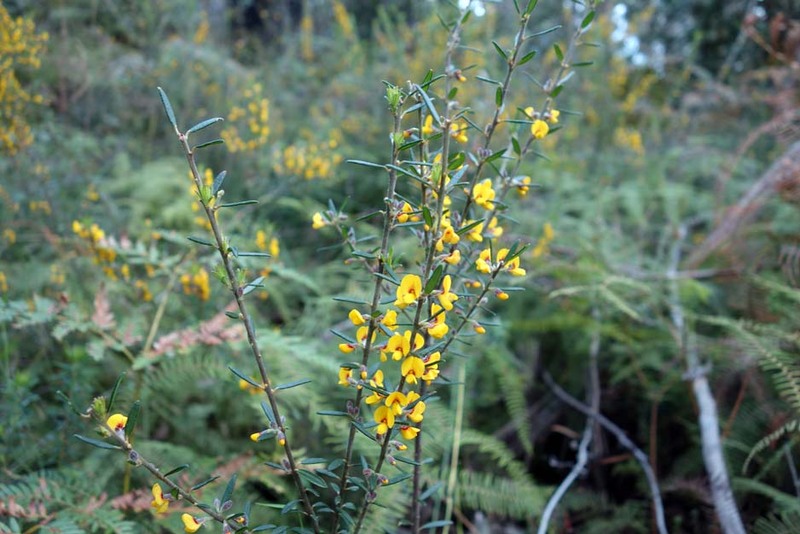 One thing that you will notice on this walk is that particularly lower down, there are sections of introduced weed species that while not unattractive, show how much work is needed to maintain these areas particularly when they border residential and city areas. 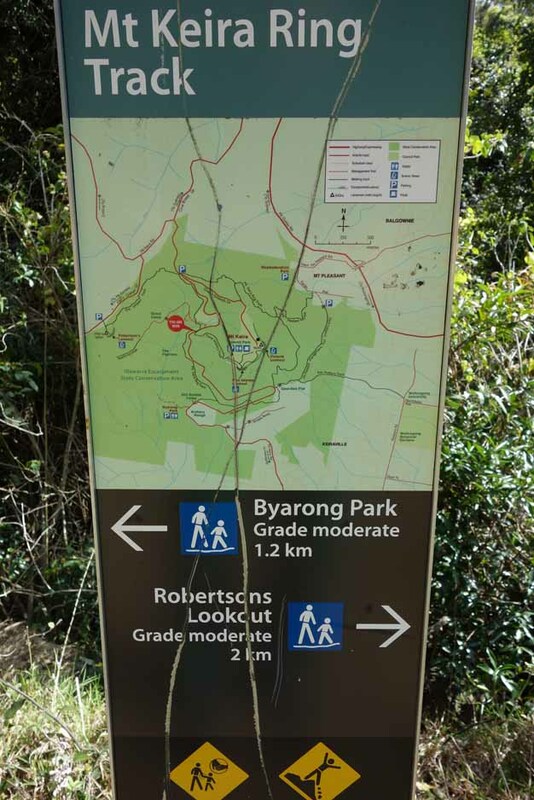 This trail is mainly upwards with the odd small downhill section and the signage is adequate to get you there. 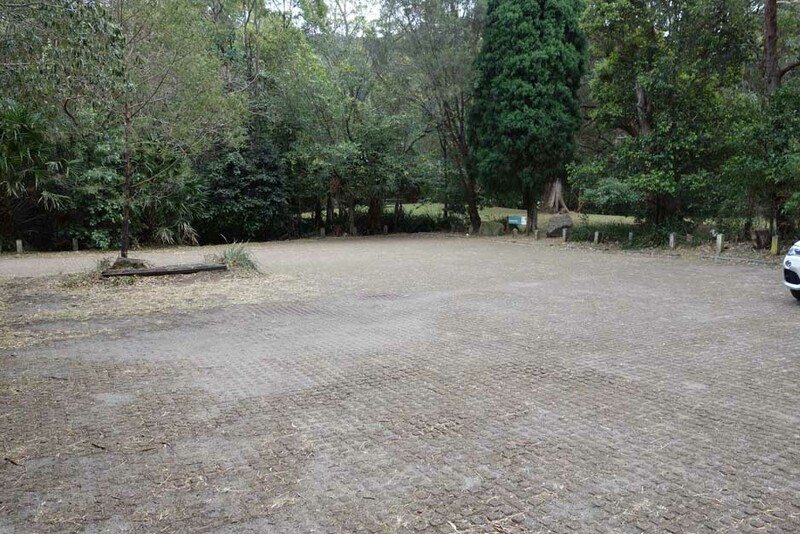 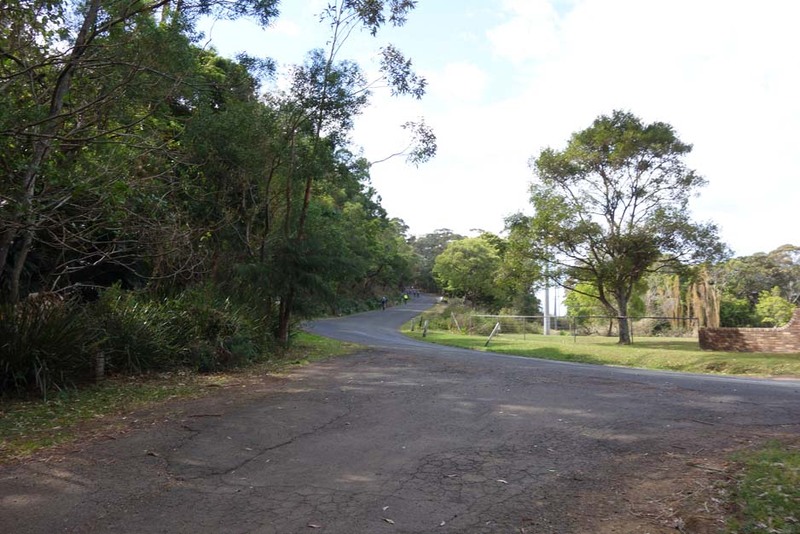 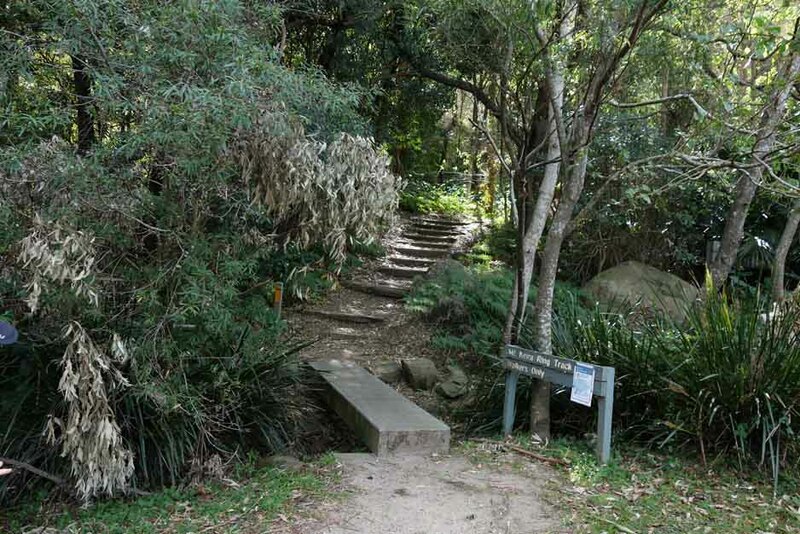 You cross over one road section about mid way through the walk and as you reach about 1 km from the lookout you start paralleling the road through some almost tropical bushland dense with native ferns. 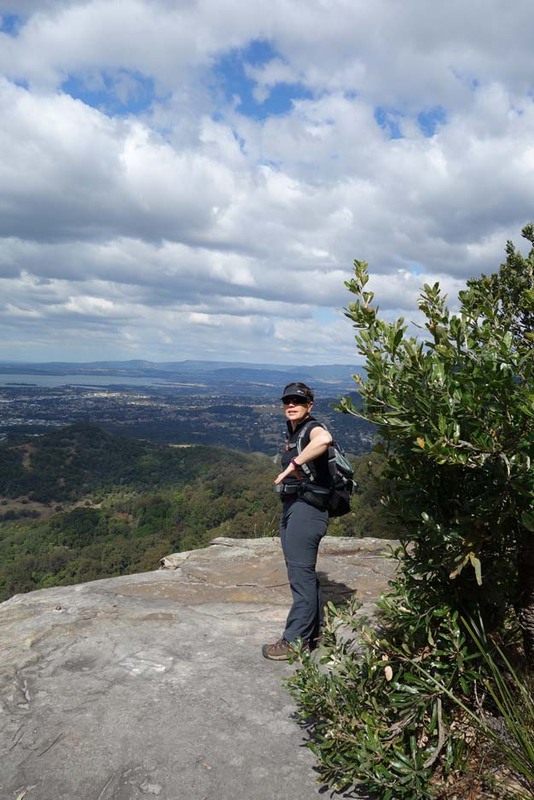 While the bushland is reasonably lush, compared to what I’m used to in the Alps regions of the ACT and NSW, on our trip it was clear that a bit of rainfall wouldn’t go astray. 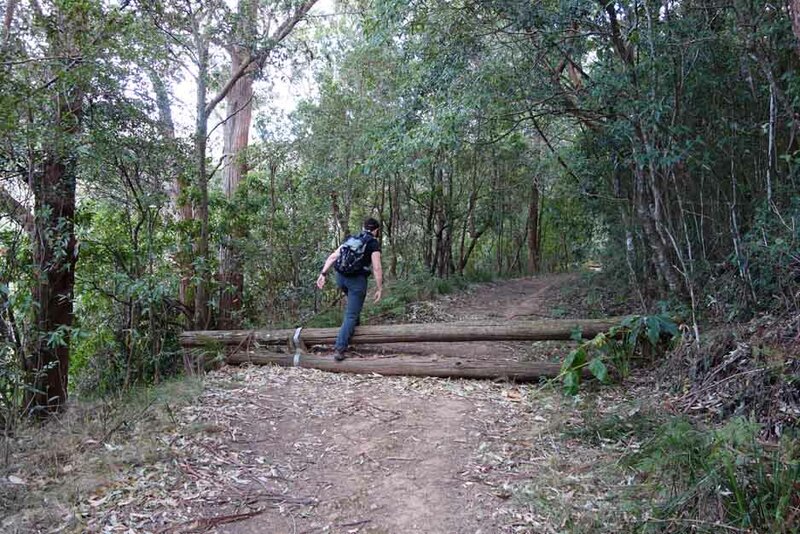 It was very dry! 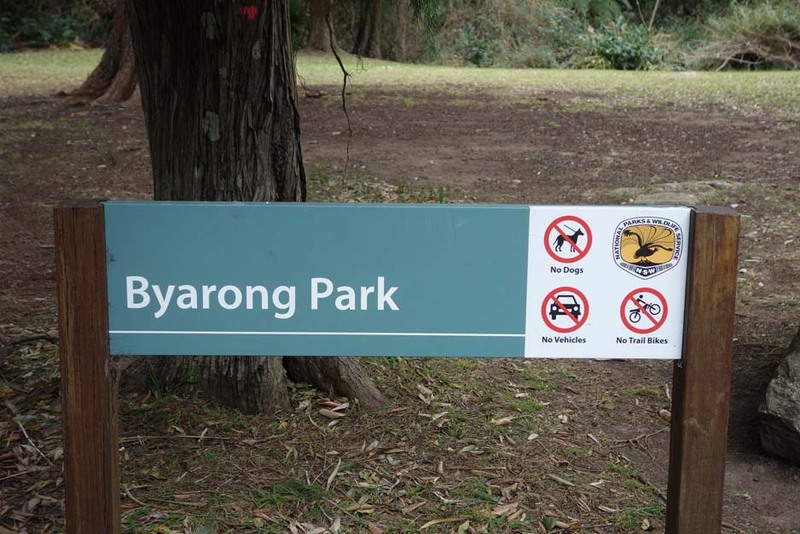 As you approach the lookout you will come across some cliff warning signs so please pay attention to where you are walking particularly if you have young children with you. 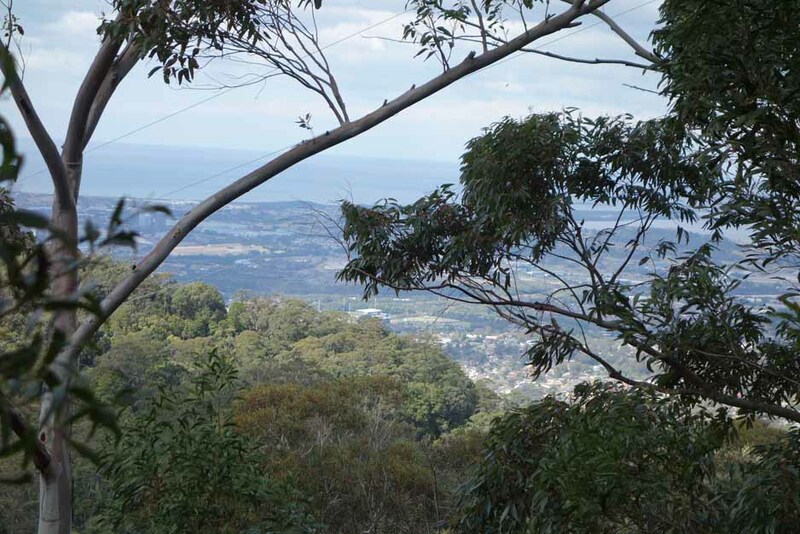 There are a couple of natural lookouts as well as the constructed lookout that provide excellent views over Wollongong. 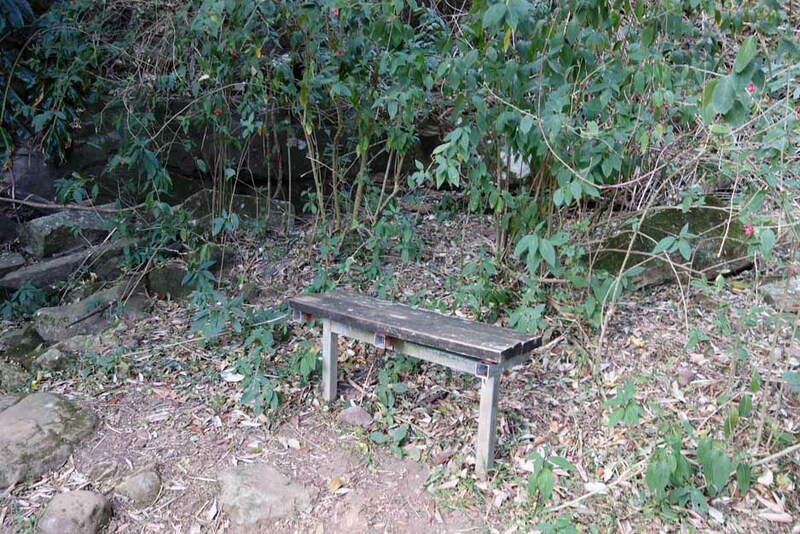 If you want to sit and have lunch, the natural lookouts are probably a better choice. 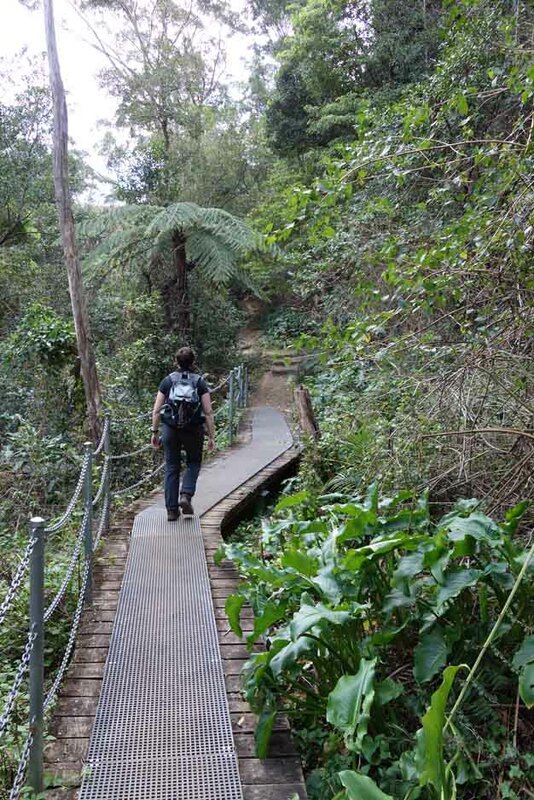 The return leg is the way you came. 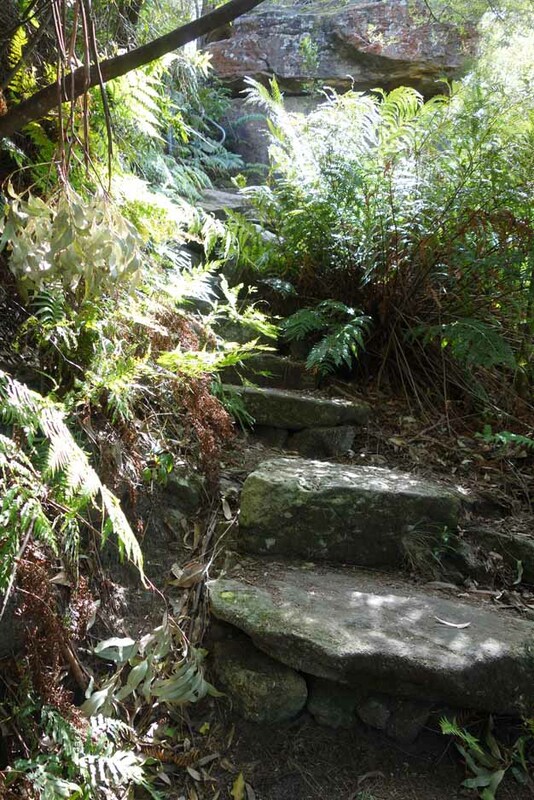 Both the ascent and descent are not difficult. 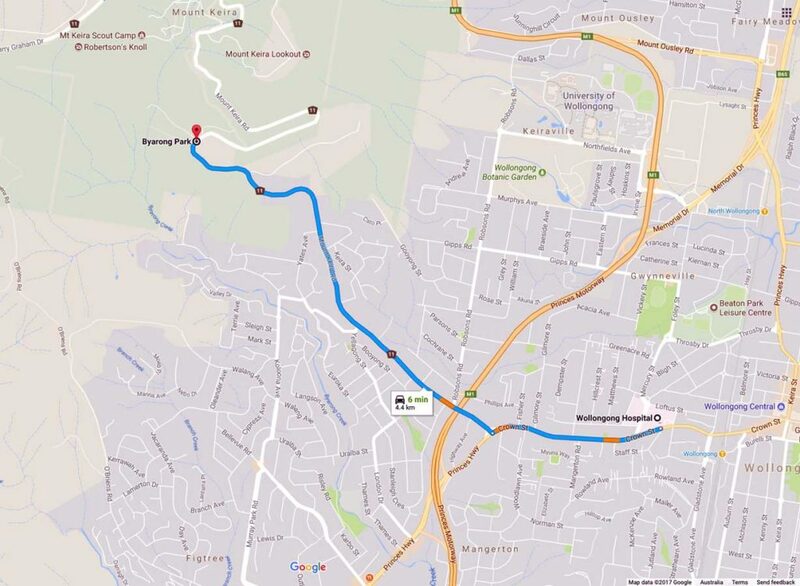 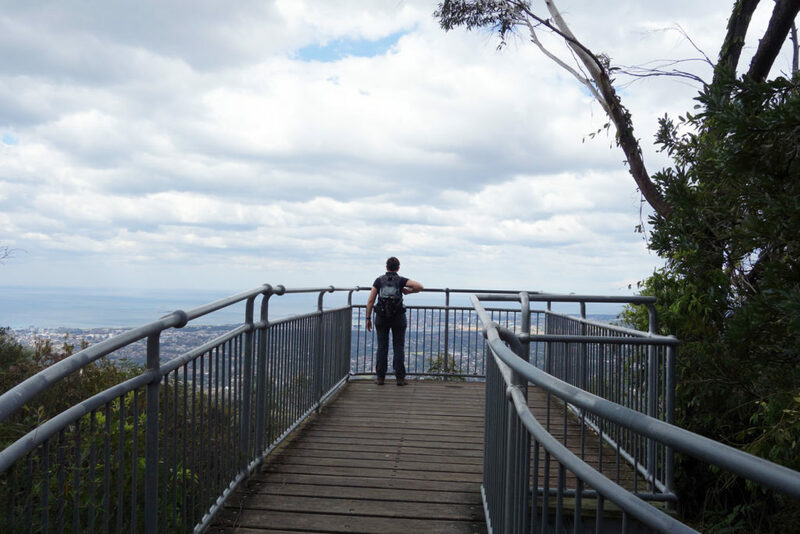 As mentioned, there are more interesting walks to do in the region but this one is well worth the effort as is provides excellent views over the Wollongong city area and coastline below.